Rufous Shrike-thrushes are found in the coastal rainforests of eastern Australia from Cape York south to Barrington Tops in NSW. 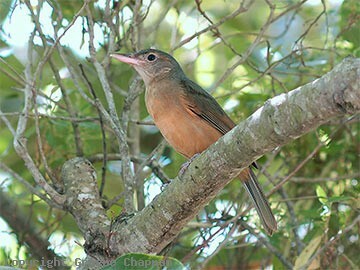 There is a fair bit of variation in the density and shade of rufous from north to south in several subspecies. 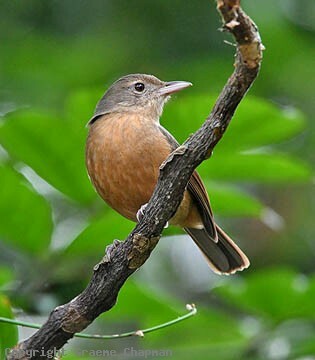 Rufous Shrike-thrushes, once adult, occupy permanent territories in pairs where they forage through all levels of the rainforest feeding mainly on arthropods but they are partial to any nestling birds they can find. Note the pale bill in all these pictures. 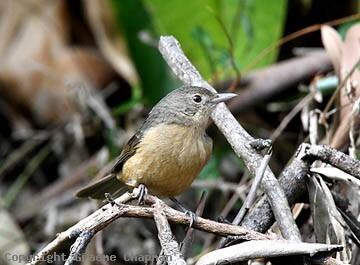 The closely-related Little Shrike-thrush from northern Australia has a black bill. 413203-D ... Rufous Shrike-thrush, Daintree, Qld. 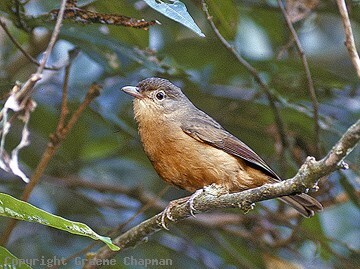 413204 ... Rufous Shrike-thrush, taken at Balgal Beach, Queensland. 413205-D ... Rufous Shrike-thrush, taken at Inskip point, Queensland.